The Federal Highway Safety Act of 1966 directed the U.S. Department of Transportation to administer various highway safety programs. 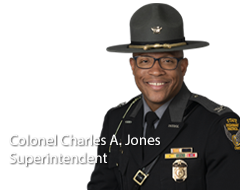 This grant program provides federal funds administered through the Ohio Department of Public Safety, Ohio State Highway Patrol (OSHP) and Ohio Traffic Safety Office (OTSO) to eligible entities to be used for projects such as traffic safety education, enforcement and engineering. Funds are used for highway safety support based on problem identification to reduce overall fatal and injury crashes. This program operates on a reimbursement basis. OTSO administers the Section 402 State and Community grants, related National Highway Traffic Safety Administration (NHTSA) awards and initiatives, and contracts for traffic safety activities. Competitive grant proposals are accepted and reviewed annually, with funds awarded to traffic safety projects that will have the greatest impact on reducing fatal crashes or that significantly improve traffic safety systems. Since partnerships are critical to the long-term success of a project effort, applicants are encouraged to develop broad-based support and commitment from officials and constituent groups toward addressing traffic safety concerns. In addition, competitive grant proposals must include an evaluation strategy that assesses the impact of proposed project activities on the selected priority areas. Based on the proposed strategies, each grant proposal must show how the effectiveness of the proposed activities will be measured. Each proposal is compared to the Countermeasures that Work to ensure projects selected for funding are evidence-based. Click HERE to download Ohio Safe Communities contact information.